This coming weekend Nov 8th and 9th you can find me at the Edwardsville High School Craft fair Saturday 10am to 4pm Sunday 11am to 4pm. I will be having a Free Gift Drawing so come sign up and See how lucky you really are. I will have some great deals so come shop with me and get ahead of the Christmas rush! A glimpse into the enamel world. This is a glass panel, semi Jackson Pollack If I do say so my self LOL As you can see the piece stays pretty true to when I start to the finish. I put in some really good music and go to town. 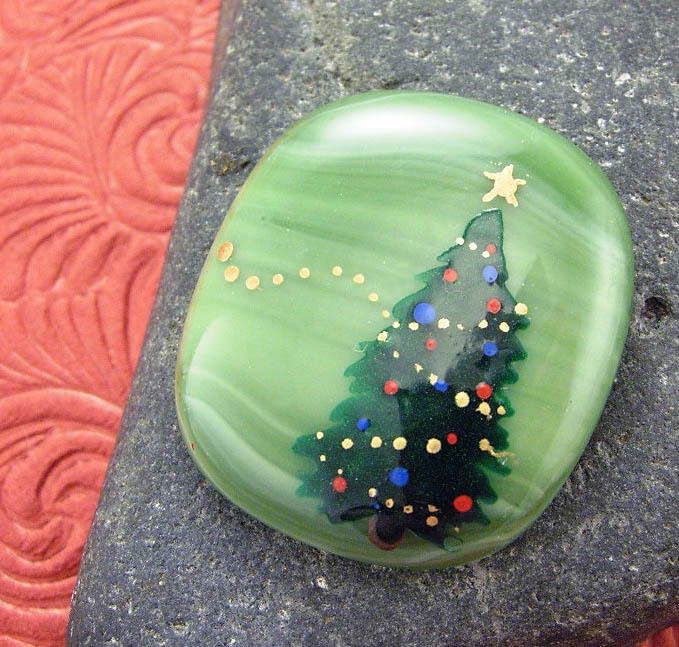 I love enamels, the colors are so wonderful, they get kinda smeary as the heat takes hold. 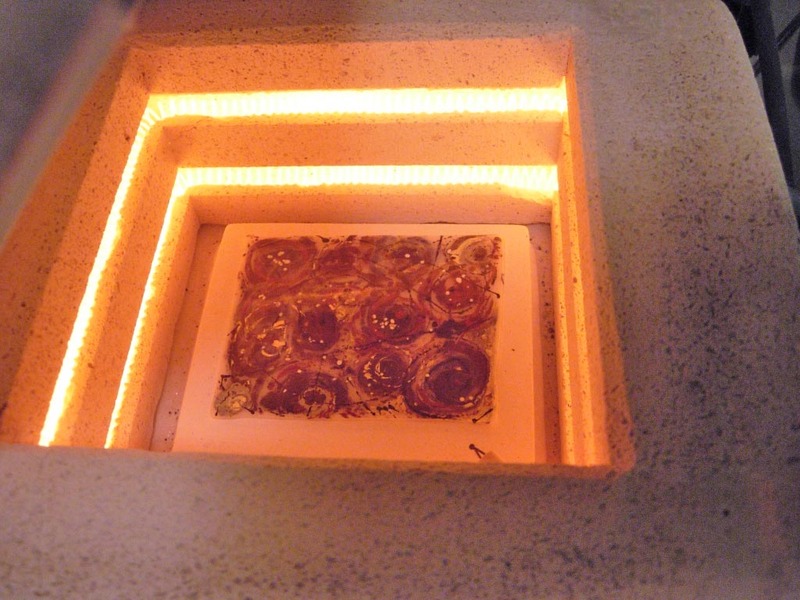 This process takes about an hour Mixing dry enamels to painting then the kiln time is over an hour. Slow and steady wins the pace. If I leave it as panel art I should mention it is kinda skewed not quite squared. So help me decide friends. It became art! Sold in the gallery! Wooohooo! Another find from my studio clean up. I did this little collage mixed media piece August 2006 for a gallery studio show. I sold about 3 or 4 pieces it was a new adventure for me and I need to revisit it. 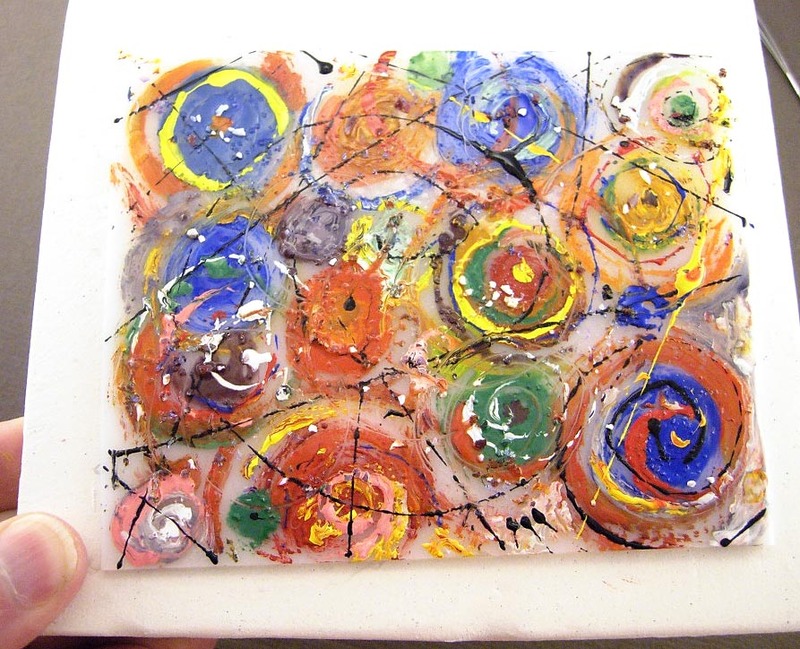 Mixing glass with my other loves of art, like paper and fabric and beads and paint, it all makes me happy. So I took new photos, when I photographed these last time it was with my old camera. This has been added back to my shop and I hope I can get back in to the swing of mixing my glass with all kinds of goodies. Some very inspirational Artists to me in the mixed media world is Susan Sorrell of CreativeChickStudios. While I am Away my cat will play LOL! It’s just for laughs. I have a great imagination, when I saw Butter sitting on my computer desk looking oh so sweet but just a little guilty all I could think was just thought how cute would it be for a kitten to have his little paws on the keyboard clicking links and using paypal to buy things from ETSY LOL! So many lovely items in her shop, I especially like what she has doe with this featured item called Botswana Energy. 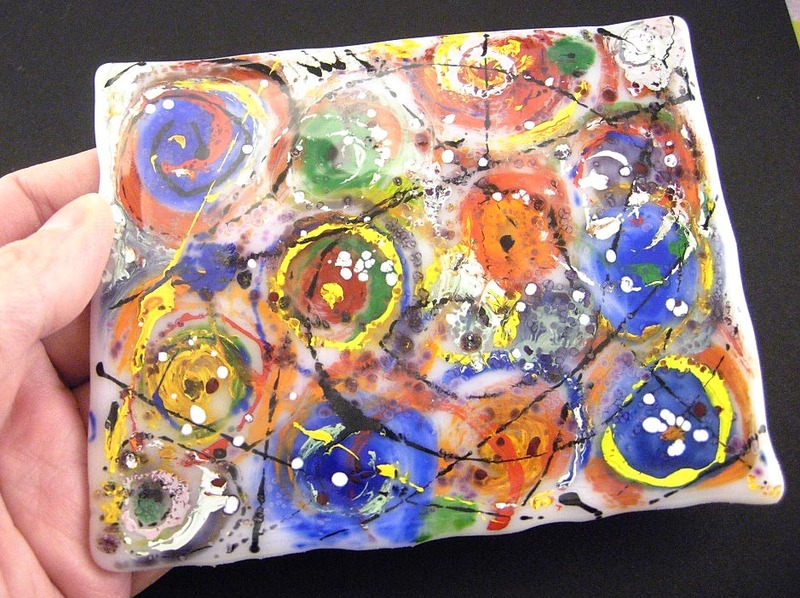 I would love to see what she could do with a piece of my fused glass. My passion, and therefore my obsession is to create unique, one-of-a-kind beautiful artisan jewelry. I’ve been designing and creating jewelry for about a year and a half, and it has literally taken over my time and rejuvenated my life! I am a young retiree, and this has virtually changed my mundane existence. My shop on Etsy contains quite a variety to fit every style or occasion. 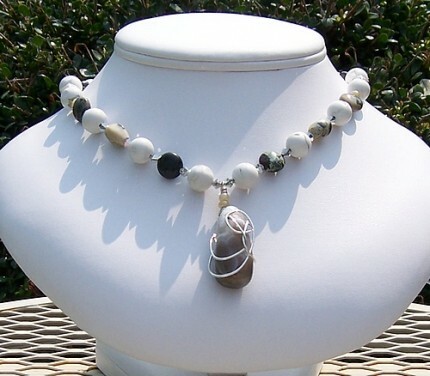 I believe jewelry is selected subconsciously, reflecting your persona ~ your soul. You can be drawn to a stone metaphysically and not understand the attraction. My preference of materials leans toward natural elements ~ semi-precious gemstones, crystals, shells, wood , pearls, sterling silver and gold filled findings, and my latest addition: silk and braided cord used for my new series of Chinese Knot Jewelry. Custom Orders are Welcome ~ just convo me with your request. I formerly created stained glass works of art, but since moving to Tennessee have not had a place to continue in that medium ~ hopefully my wish for a studio will come to be and I can again work with stained glass and maybe sell my creations on Etsy!